Burrowing Bettongs (or often referred to as Boodies in western and southern Australia), are a small, thick-set, kangaroo-like animal and they are the only macropod to construct and permanently shelter in burrows. SURVIVING POPULATION:	Estimated at 19,000 individuals, although population does fluctuate with rainfall. 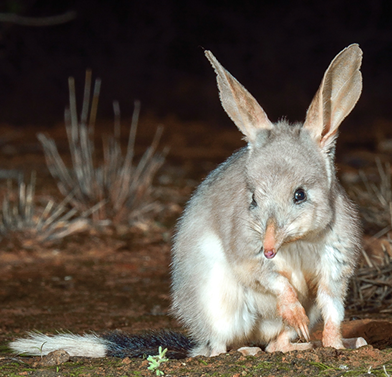 AWC has established populations of Burrowing Bettongs in large feral predator-free areas on Scotia and Yookamurra sanctuaries, and Faure Island. 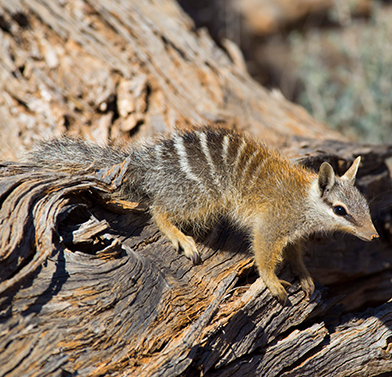 In partnership with NSW National Parks and Wildlife Service, AWC will re-introduce Burrowing Bettongs into large feral predator-free areas at Mallee Cliffs National Park. AWC also plans to reintroduce Burrowing Bettongs to Newhaven sanctuary in the future. 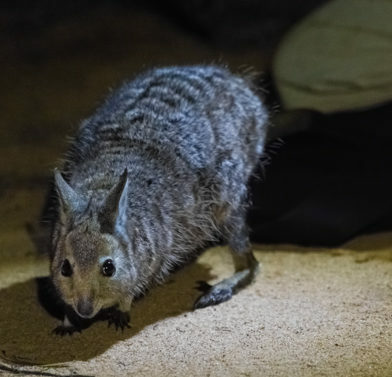 Across our properties, AWC ecologists employ techniques such as spotlighting and survey trapping to monitor the populations of Burrowing Bettongs. 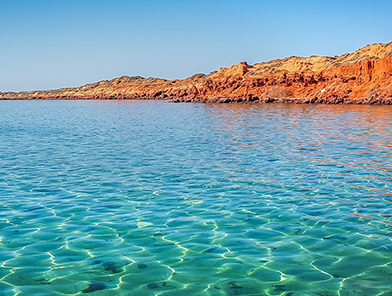 AWC also contributes to the Shark Bay Marsupials Recovery Team in Western Australia. The disappearance of Burrowing Bettongs from the mainland appears to be largely due to predation by feral cats and foxes. Hunting and poisoning by early agriculturists also significantly contributed to the species’ decline in some areas. The conservation of Burrowing Bettongs is reliant upon the establishment of feral predator-free areas on the mainland and on preventing cats and foxes from establishing on islands. 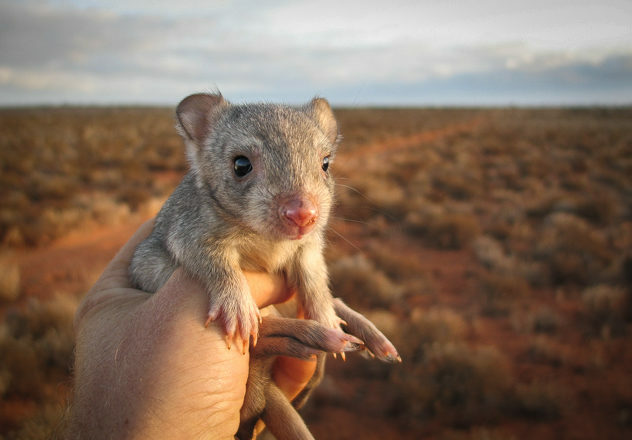 Once widespread across arid and semi-arid areas in the south, central and western parts of Australia, Burrowing Bettongs’ range has contracted dramatically following European settlement and the remaining populations are now only present on a small number of islands off the coast of Western Australia. 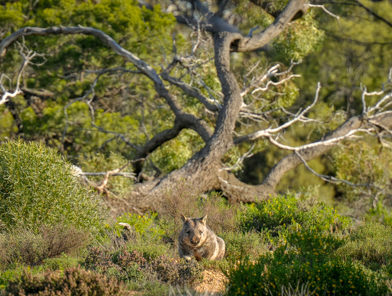 Reintroductions to feral predator-free exclosures and islands have resulted in the successful establishment of a number of populations in Western Australia, New South Wales and South Australia. Weighing approximately 1.3 kg, Burrowing Bettongs feature short, deep muzzles and small, rounded ears. 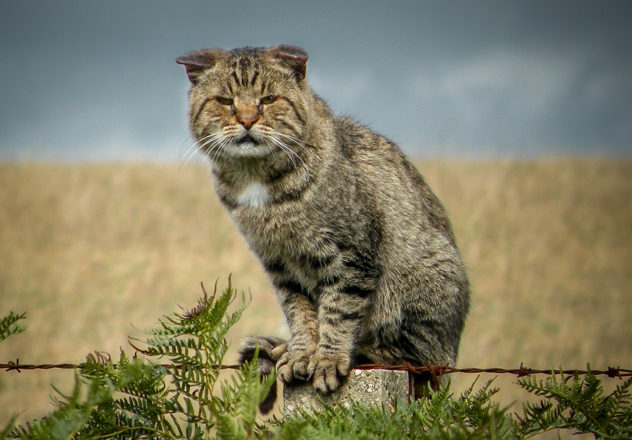 Their thick yellowish-grey fur is paler below with a lightly-haired tail that often has a white tip. As burrowing macropods, their burrows vary from simple tunnels to complex warren systems that have several entrances and many interconnecting passageways. Large warrens can support more than 20 animals, but individuals tend to forage independently. Like many Australian marsupials, Burrowing Bettongs are nocturnal – emerging after sunset to feed and returning to their burrow before sunrise. Individuals are omnivorous, feeding primarily on roots, tubers and fungi, but they also browse the leaves of a variety of plant species, and have been observed climbing into the lower limbs of shrubs to feed on their seeds. Breeding varies in response to rainfall but can occur at any time of the year. Three sub-species of Burrowing Bettongs, with distinct ranges, are recognised: B. lesueur graii (mainland Australia, now extinct), B. lesueur lesueur (Bernier and Dorre Islands, Shark Bay, WA) and B. lesueur unnamed subspecies (Barrow and Boodie Islands, WA).